NUUO NVR / DVR software allows administrators to turn enable and disable camera channels via the software interface. If a NUUO PC based DVR is built with 8 channels for example and the user is only going to use 4 of those channels at first, it makes sense to disable the four channels that are not in use so that they do not use any system resources. 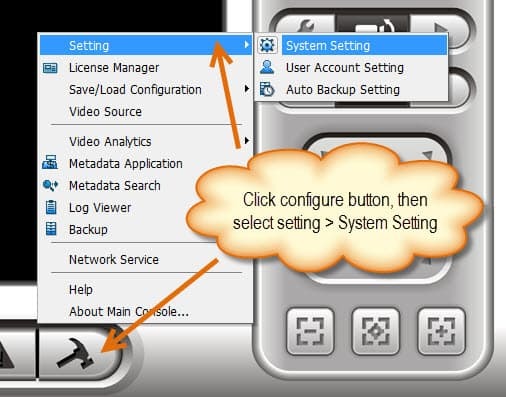 To enable or disable cameras click on th configure button on the main console user interface, then select Setting > System Setting. 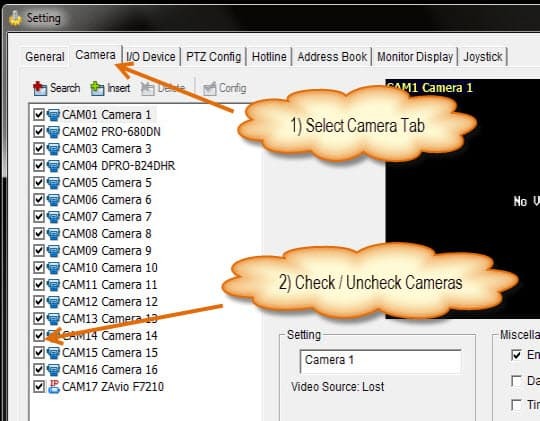 Next, click on the Camera tab, then check / uncheck the cameras that you wish to enable / disable. Last, click OK to save the changes that you made.